Animal Wildlife | White Rhinoceros (Ceratotherium simum) | The White Rhinoceros is the second biggest land animal and can weight around 2 tons. 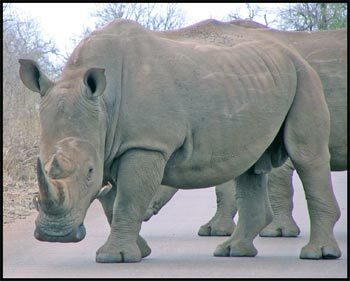 The white Rhinoceros is the most common species of the remaining rhino, and inhabits parts of Africa. There were around 11,000 White Rhinoceros counted in South Africa in 2005, but for unknown reasons the white rhino rate of reproduction is low. 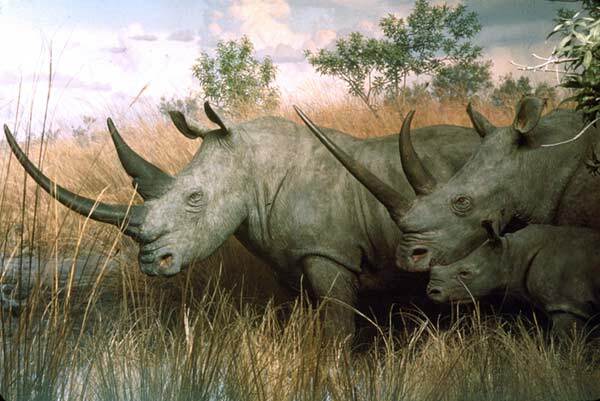 The white rhinoceros is the only species of rhino that is not critically endangered. 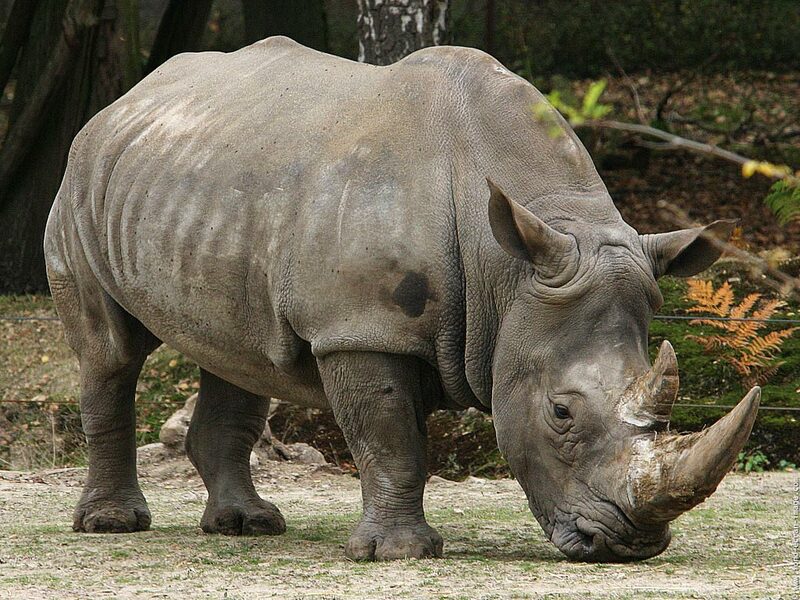 The White Rhinoceros has 2 horns on its head that are made of keratin. 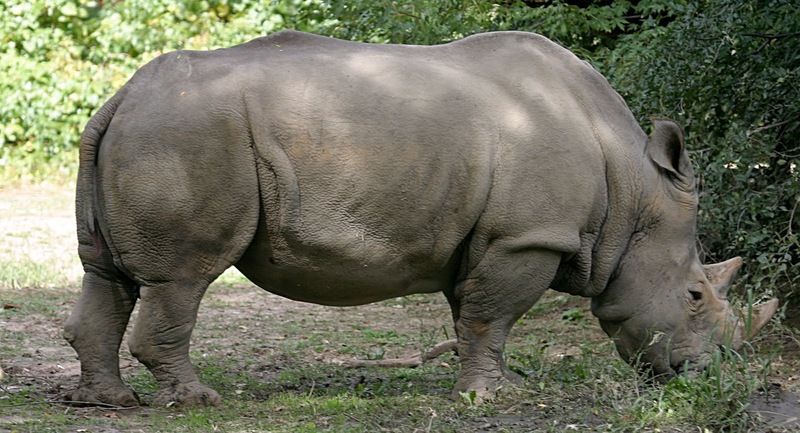 The white Rhinoceros front horn averaging a length of 90cm but can get up to 150cm! The white rhinoceros has a noticeable hump on the back of its neck which helps to support the white rhinos large head. Each of the white rhinos four stumpy feet has three toes will help to distribute the enormous weight of the white rhino. 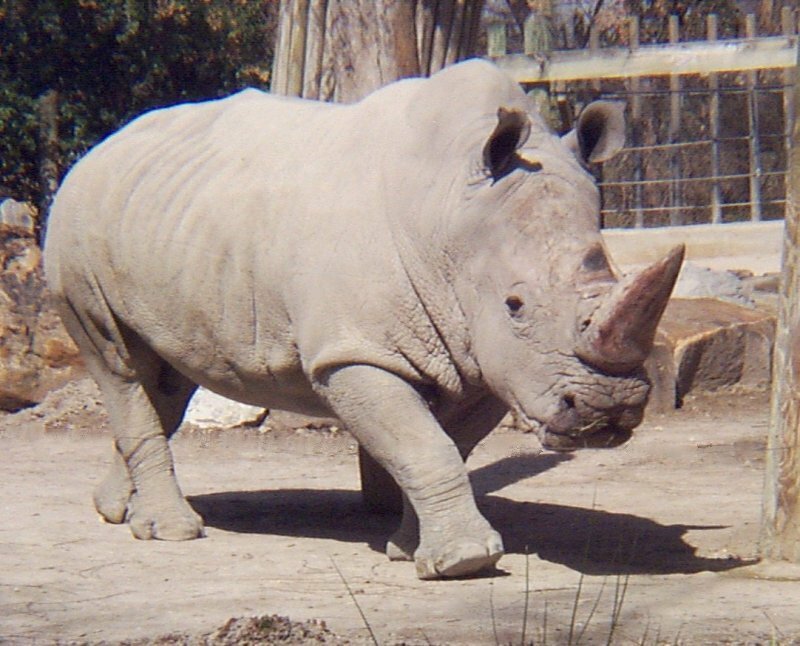 The colour of the white Rhinoceros ranges from yellowish brown to grey and not white as the white rhinos name suggests (the white rhino's name is thought to have originated from a mis-translation of the white rhinos names from Dutch into English, with the white rhino thought to have been originally named the wide Rhinoceros and not the White Rhinoceros). 1 Response to "White Rhinoceros"